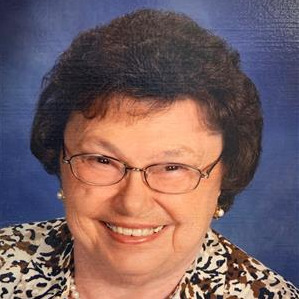 Barbara Ann Jaskot, 82, of Basehor, KS, passed away Monday, April 15, 2019. Visitation will be 9:30-10:30 AM with a Funeral Mass at 10:30 AM Wednesday, April 17, 2019 at St. Patrick Catholic Church, 1086 North 94th Street, Kansas City, KS. Burial in Gate of Heaven, Kansas City, KS. In lieu of flowers the family suggests memorial contributions to the church. Barbara was born October 12, 1936, in Kansas City, KS. She was a member of St. Patrick Catholic Church and St. Bernadette's Circle. She was preceded in death by her husband Thomas Jaskot and her sister Mary Lorfing. She is survived by son and his wife, Tom and Leslie Jaskot, Kansas City, KS, four daughters and their husbands, Debra Nylund, Basehor, KS, Karen and Steven McCarty, Kansas City, KS, Kathy and John McCarty, Kansas City, KS, Cheri Clark, Goodyear, AZ, 10 grandchildren and 16 great grandchildren. Barbara was one of a kind. She had a heart of gold and was always laughing! She will be greatly missed. Love and prayers sent to her family.